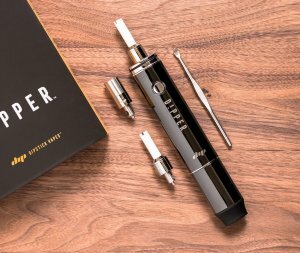 Despite the advances in technology for the vaporizer market, there is still a cloud of uncertainty when it comes to the best temperature to vape your marijuana concentrates. 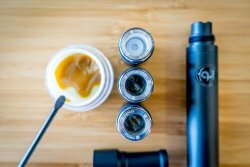 Among the many cannabis users who vape concentrates, there seems to be a general consensus regarding the temperature range that you should be vaping at. However, there are some things to consider including the quality of your vape pen and the consistency of your wax or oils. This is why it is crucial that you test the waters with a small dab of concentrate prior to fully vaping. 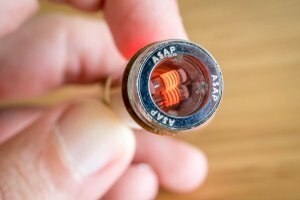 For quality control, TheVape.Guide has an excellent resource that dictates the best vape pens that one can get their hands on. Before we get into the juicy stuff, it is important to take a moment and briefly explain how most vape pens work. Unlike the traditional “roll up and light up” method which combusts your weed, vape pens operate with their own ovens that use air to heat up your concentrates – known as convection heating. The air inside the chamber is heated to temperatures ripe for extracting the THC from your wax or oils – avoiding combustion altogether. However, many marijuana users struggle to find that sweet spot since it depends on hitting the right temperature in order to get the benefits of those cannabinoids and terpenes. Recent research states that the best temperature range for vaping weed is between 347 – 392°F. Setting your vape pen between this range does take longer, however, it ensures that your concentrates are evenly heated and that your wax doesn’t evaporate too fast. But, this range isn’t set in stone since this same professor also stated that 410°F is also a great temperature for extracting all the good stuff from your weed while keeping your wax at a decent consistency. Vaping at temperatures below 356°F is perfect for getting the best of terpenes but not so many cannabinoids. Many users stay behind the “tried and true” method of vaping at low temperatures and will do so to avoid combustion or their wax fading away. However, vaping at temperatures lower than 356°F only releases terpenes and not cannabinoids. Most people don’t know this and think that vaping at this temperature is most efficient but instead, they end up getting weaker psychoactive effects. This is usually perfect for medicinal marijuana users but for recreational vapers, not so much. At that point, cranking up the heat is your best bet. Research done in 2004 attempted to show which temperatures are better for extracting cannabinoids. Their results showed that lower temperatures extracted less while higher temperatures extracted more resulting in the consensus that lower temps resulted in healthier hits while higher temps aided in getting you really high. However, you should avoid temperatures higher than 455°F since combustion becomes inevitable and benzene becomes present in the vapor. With a vape pen, this can occur at temperatures as low as 365°F. After reviewing such data, many weed users simply think that for more THC, crank up the heat and for CBD, bring it down a notch. But, the boiling points for both are only 50° and finding a vape pen that can precisely hit such marks can be difficult (unless you use the resource we mentioned earlier). Taking all the above into consideration, it can be safely assumed that the best temperature to vape your concentrates would be at 410°F, as Dr. Ian Mitchell mentioned earlier. This ensures that you get the right balance of THC and CBD without sacrificing on the consistency of your concentrates and to avoid combustion.